Home » Comments » Countries » Popular Articles » Malta Diary 3. Make Way for the King. Malta Diary 3. Make Way for the King. There is never a dull moment in Malta. February may be a sluggish month in many countries but 10th February marks the feast of St Paul’s Shipwreck in Malta in 60 AD and thus Malta’s conversion to Christianity (naturally a public holiday), followed by St Valentine’s Day (a fairly contemporary adoption) and at the end of the month, Carnival awaits. 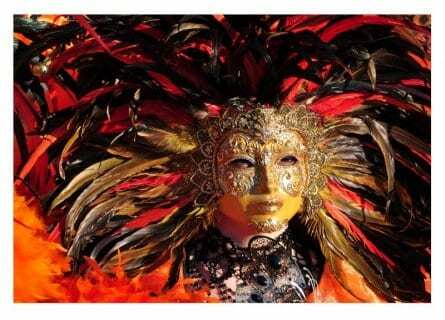 The word “Carnival” is an amalgamation of two Italian words “carne vale” meaning “meat allowed”. Besides meat being allowed, it is also a time to let one’s hair down, make merry, feast and drink to excess and a favourable social meeting forum for aspirant young lovers. The opening day falls five days before Ash Wednesday and the start of Lent because at midnight on Shrove Tuesday down comes the curtain to dampen all spirits and herald 40 days of sackcloth and ashes to emphasise penitential redress for all sins of the flesh (and many more) and remorse that leads up to Good Friday. Meat was right off the menu with severe fasting and abstinence the order of the day. Well, that’s what is supposed to happen in theory and happened in the dim and distant past but would be hard to re-trace in today’s materialist commercialism. Anyway, back to today’s Carnival and the grand entry of King Carnival on the event’s opening day (stretching from Friday to Shrove Tuesday) to head an extensive procession of colourful mechanical floats, dancing troupes and marching bands – appreciated by thousands of spectators and mainly children who all somehow or other manage to fit into a costume. The event in Malta had an early start in the 16th Century with the arrival of the Knights of St John of Jerusalem from Rhodes where they were driven out by the Ottomans and alternatively adopted the then mostly barren and inhospitable rocks that comprised Malta and Gozo. The Knights held jousting tournaments accompanied by merrymaking. Not ones to be left out of such a grand opportunity to jump on a gravy train of seven days of endless flagons of wine and tables overflowing with sweetmeats, the Maltese were quick to adopt the ritual and built on it over the centuries. Nowadays, the main spectacle is centred around Floriana and the capital city Valletta, but several towns and villages have their own mini-versions. 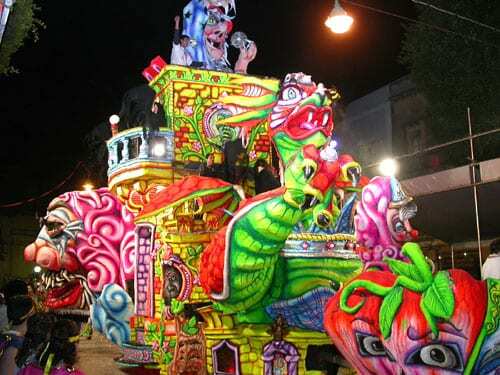 One of these is held in the Gozitan village of Nadur which has acquired fame through holding a macabre and bizarre event ever-growing in popularity because of costume excesses (Lady GaGa style) and all-night revelry with the civil authorities kept busy to clamp down on the excessive bizarre! 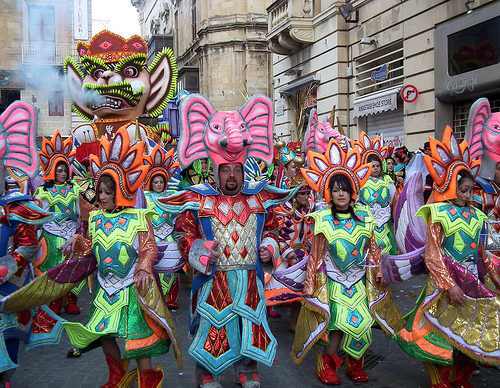 The main Valletta Carnival kicks off with a grand entry parade on Friday headed by The King, followed by a long procession of floats, dancers and bands all competing to win cash prizes. 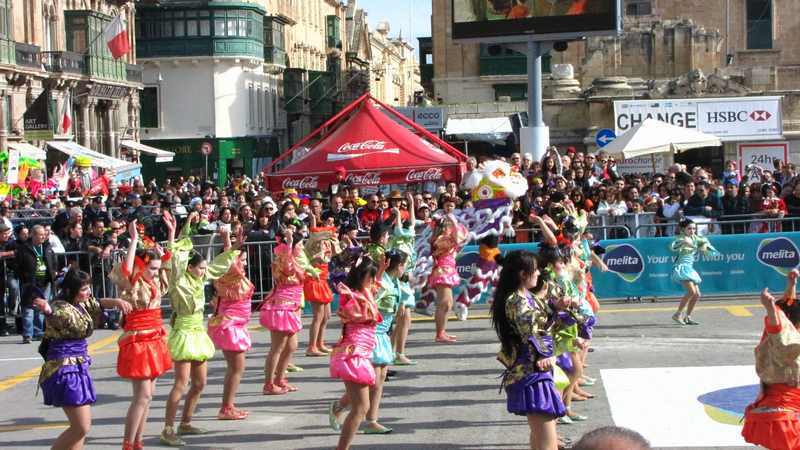 Smaller parades are held over the next three days mainly reserved for very popular and competitive troupe dancing in Valletta’s main square. 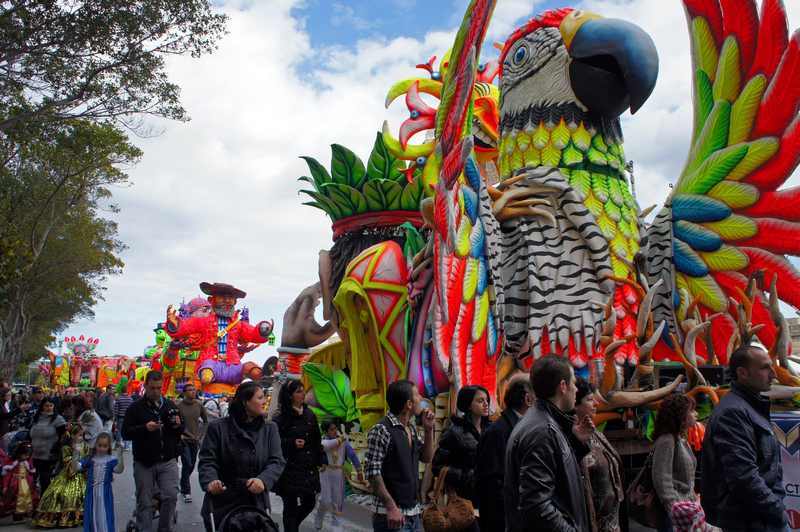 The last day on Tuesday is a massive final parade where all the prize-winners are announced. On each evening Carnival dances and discos are held in most localities. Worth pointing out that all manufactured floats, dance costumes, dancers and band musicians are on an amateur and volunteer basis and plan their events and creations throughout the year on a year to year basis and sometimes receive an unkind kick in the teeth from inclement weather because all the events are outdoors and February is not normally a kind climate month. 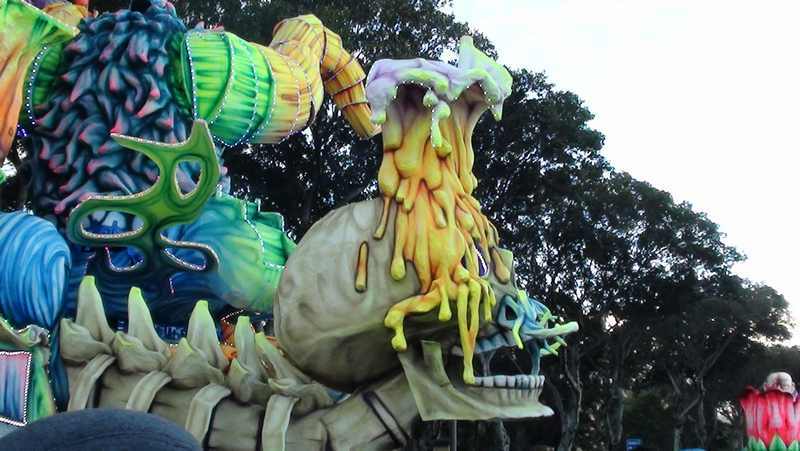 This year’s main Carnival events start on Friday, February 28th and end on Tuesday, 4th March.